Currently, Ms. Formalarie is a senior consultant in talent acquisition and HR technologies. She guides Fortune 100 companies through their design, development, and implementation of new HR systems. Until July 2011, she was manager at Cisco Systems in the Human Resources organization and led the global Staffing Systems and Solutions team which was responsible for all recruiting, hiring, and onboarding systems. During her career at Cisco, Anne led the benchmarking efforts for identifying and implementing best practices in supply chain and human resources processes. From early 2003 to the summer of 2006, she was a corporate trainer at Cisco Systems, specializing in teaching employees and business partners how to use internet-based business tools and processes. Prior to working at Cisco, Ms. Formalarie’s experience includes roles as the VP of Information Systems at Eastpak (a backpack manufacturer), the manager of the IT department and customer call center at FTP Software, the manager of front-office business applications at PC Connection, and 15 years in various technology and managerial roles at Digital Equipment Corporation. 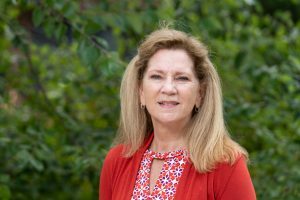 Anne Formalarie is an adjunct professor in the University System of New Hampshire, teaching business courses at UNH and Plymouth State University. She has a bachelor’s degree from Boston College, an MBA from Southern New Hampshire University, and a Masters of Education from Rivier University. She holds a PMP (Project Management Professional) certification. Ms. Formalarie is on the board of directors for Waterville Estates Association, is its village district moderator, and is a coach with the New England Disabled Sports organization at Loon Mountain.